In recent years, it has become the norm for standout college wrestlers to make their way from their studies to the cages of MMA. Tyron Woodley, Ben Askren, Rashad Evans, Josh Koscheck…the list goes on and on. Many have experienced considerable success. In fact, fighters such as Cain Velasquez, Matt Hughes, Brock Lesnar, and other current and former champions can claim wrestling as their true base combat sports discipline. The next one in line could very well be Mark Ellis. The 2009 NCAA Division I Heavyweight Champion, Ellis went straight from college to the vaunted American Kickboxing Academy gym in San Jose, California. Many fight teams can boast a solid stable of wrestlers, but few have competitors the caliber of AKA, as Velasquez, Daniel Cormier, and Muhammad “King Mo” Lawal all call the gym home. Ellis has been working with all of them, and not just on his ground game. While many wrestlers have garnered success in MMA, some have had difficulty with the transition. In amateur wrestling, getting dominant positioning is what it’s all about. There’s no striking. That can be a difficult nuance to pick up, strange as that may sound. But Ellis is confident that won’t be an issue with him. So, what sets Ellis apart from your fellow wrestlers that have entered MMA? Ellis’ entry into MMA brings up a trending topic in MMA: more and more NCAA wrestlers are heading to MMA rather than trying for the Olympics. Why is that the case? This Saturday, Ellis will make his MMA debut against a fellow collegiate standout in Jake Heun. 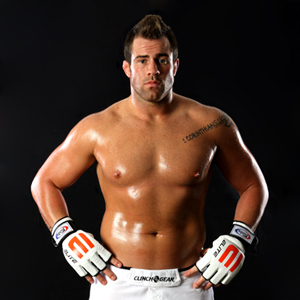 The 6’2” 225-pounder made his pro MMA debut earlier this year, earning a 2nd-round submission win. A former University of Hawaii football player, Heun is a solid athlete with developing skills…just like Ellis. With a rookie, you never know what you’re going to get. What should the Hawaiian fight fans expect out of Ellis this weekend?